Almost every company today, regardless of sector or business model, is grappling with transformation and dealing with change at an unprecedented scale and pace. It is in this context that culture and talent — previously regarded as squishy topics — need to be a bigger part of the board agenda. This disruption has been brought about by the confluence of various factors and largely driven by technology. Changing customer preferences and demographics, social media platforms, societal changes focused on equity and empowerment, wellness and lifestyle, increasing global wealth, and more engaged large institutional investors with an environmental, social and governance (ESG) lens are further exacerbating the pace of disruption. We are seeing a sense of urgency and signals from the board room on the recognition of culture and talent for a company’s sustainability and success. We are seeing increased and visible communication around culture, a heightened focus on appropriate behavior, ethics and integrity, training to manage biases, reviews of code of conduct and no-tolerance policies, and heightened attention to hot lines and whistle blowers. There is also increased company-wide training on new skills and technologies and the use of tools and scorecards to measure and foster culture and talent. Culture is defined as the sum of the shared beliefs and values that shapes organizational behavior. It dictates what and how an organization does things. It also defines what an organization holds meaningful — its purpose or mission and it creates the organization’s unique character. Therefore culture is the framework that aligns behavior for long-term value creation. From a board’s point of view and the board’s accountability for the long-term sustainability of the company, culture is therefore a strategic asset. It has a direct and concrete impact on financial performance and improved risk management. Multiple surveys and research studies have proven this linkage. Further culture defines how things get done across an organization — from goal setting to employee engagement and retention to controls and compliance. Therefore from a board perspective understanding culture is necessary to reinforce strategy. Strategy cannot be implemented unless it is in sync with the culture that brings together organizational elements that reinforces strategy and facilitates implementation. Over 40 years ago, the management guru Peter Drucker stated “Culture eats strategy for breakfast.” In this context, we have examples of companies like Costco and Southwest Airlines with strong cultures performing well. On the negative side we see examples of value destruction, impaired reputations and poor performance at companies with unhealthy cultures including Enron, Wynn Resorts, Uber, Weinstein Company and Volkswagen. Looking ahead, with the accelerating pace of disruption, it is becoming increasingly difficult to predict the competitive landscape. Influencing culture becomes increasingly important, as it is the asset that helps the company adapt, innovate, take appropriate risks and differentiate itself in a rapidly changing environment. It therefore becomes the strategic tool that the company uniquely owns and which remains constant in a disruptive era. Culture becomes the strategic enabler for boards to understand and influence from the top down. Taking this one step further; how a company manages its human capital and talent speaks to its culture. 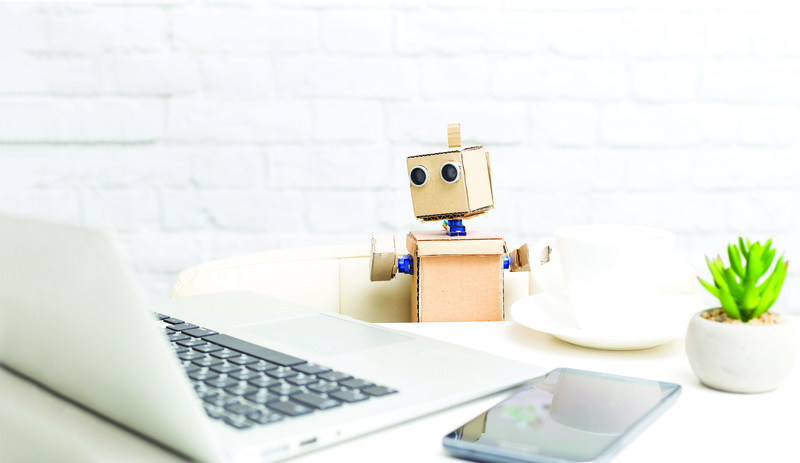 With escalating disruption and new technologies like artificial intelligence and machine learning, widespread robotics and automation there will be new work models, changing business economics, new opportunities and emerging atypical risks. In the new skill-based economy, there will be a war for this scarce talent. Boards and senior management will therefore focus on the talent agenda in a broader way as a strategic differentiator for innovation, adaptation and risk taking. Is the recruitment, retention and engagement of talent aligned with the culture, values, mission and purpose of the organization? Is there a strategy and understanding of the future skill needs and gaps? Is there adequate investment in skill development, reskilling, up-skilling, job re-design and alternate work force models of the automated, skill-based and the gig economy? How will work force incentive and compensation structures evolve and be aligned with future societal needs of equity, risk and lifestyle preferences? How will culture and opportunity for advancement promote loyalty and commitment? How can the company drive innovation, continual learning and reinvention through a safe and diverse work environment? How effective are the company’s diversity and inclusion approaches? What are workforce related risks around data, cyber, privacy and intellectual property? The concept and relationship of the future of work and its impact on culture and talent will be vital for business success and long term sustainability. As such, understanding and proactively influencing it is now a key responsibility of the board and a central element of good governance. Sheila Hooda is CEO of Alpha Advisory Partners and serves as an independent board director.